Muscle cramp relief gel that no one else notices … until they notice how energized you are. Makes a great wellness addition for runners and those with restless legs. 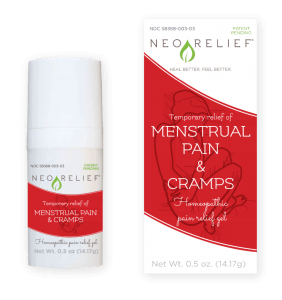 NeoRelief for Muscle Cramping and Restlessness is a 97% natural pain relief gel that soothes muscle cramps, spasms, tension, and restlessness for increased flexibility and holistic muscle cramp relief. Temporary muscle cramp relief of occasional muscle cramps, muscle restlessness, and muscle twitching. Adults and children 2 years of age and older, apply a thin layer of pain relief gel on clean skin to cover the affected area. For best results, allow gel to be absorbed into the skin; do not rub in. Apply at the onset of symptoms, not more than 6 times daily or every 15 minutes for the first hour. Do not use with other topical remedies or lotions. Do not use on damaged or broken skin. Keep out of eyes, open wounds, and mucous membranes. Stop use and ask doctor if condition worsens or persists or if a rash develops. Ask a doctor before use if you are taking a prescription drug or have a serious medical condition. If pregnant or breastfeeding consult your doctor before use. Store in a cool, dry place. Avoid direct sunlight. Tamper-evident for your protection. Use only if safety seal is intact. Report serious side effects to 800.538.1455. 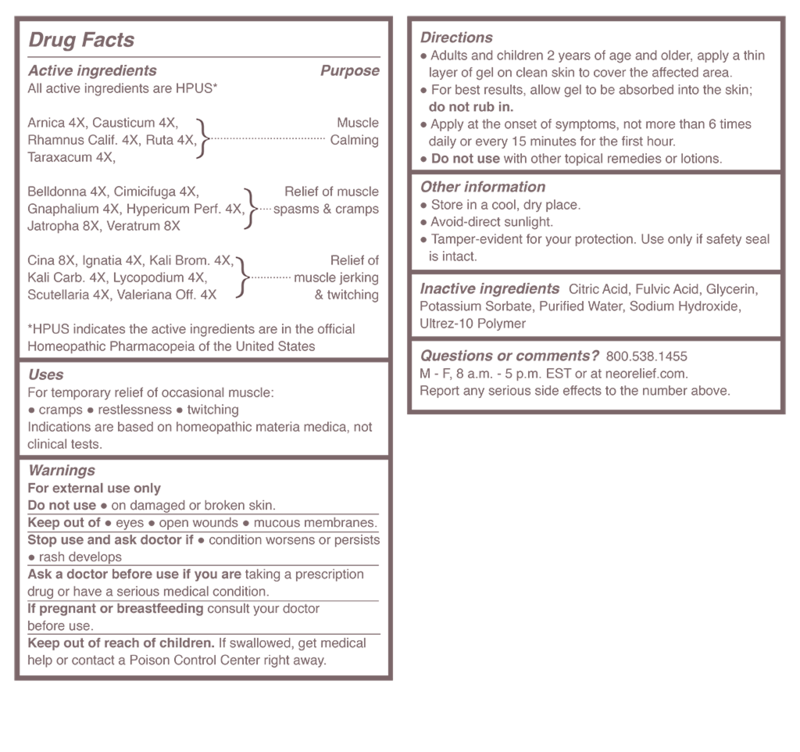 All active ingredients are HPUS and are in the official Homœopathic Pharmacopœia of the United States (HPUS), following homeopathic standards of strength, quality, purity, and packaging. For more information on our ingredients, see our FAQ Page. We follow current Good Manufacturing Practices set by the U.S. Food and Drug Administration (FDA). 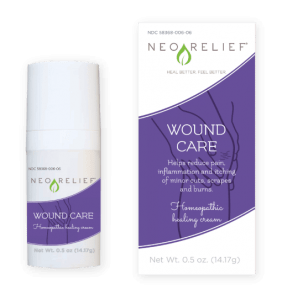 NeoRelief pain relief products are listed with the FDA. Our products are formulated and manufactured in an ISO 7 Certified Cleanroom. 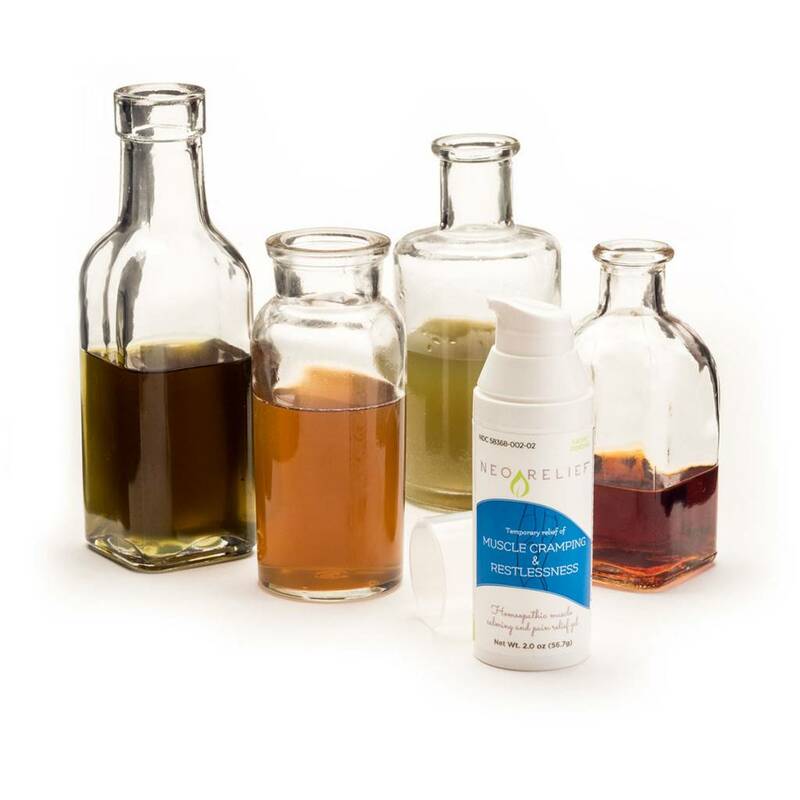 Our laboratory is licensed by the State of Michigan as a pharmaceutical manufacturer.